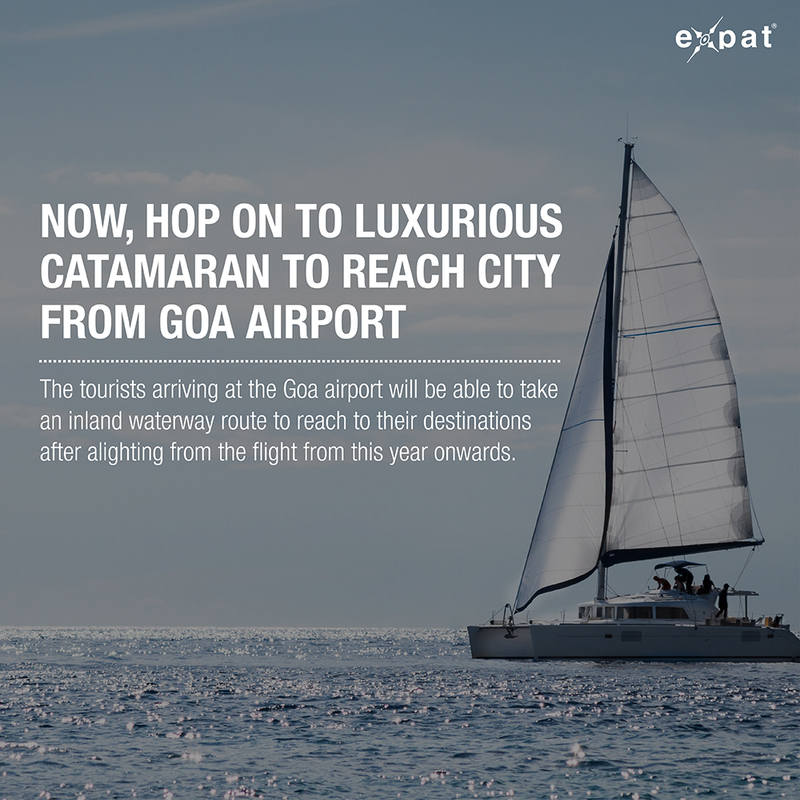 The tourists arriving at the Goa airport will be able to take an inland waterway route to reach to their destinations after alighting from the flight from this year onwards. 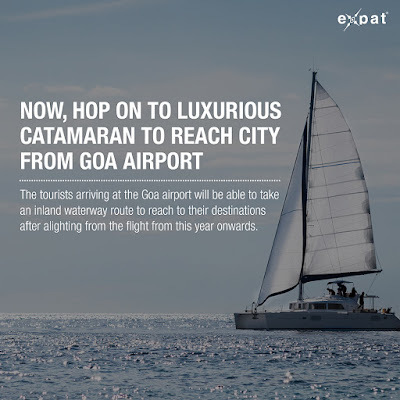 The tourists arriving at the Goa airport will be able to take an inland waterway route to reach to their destinations after alighting from the flight from this year onwards. Goa’s premier lifeguard agency Drishti Lifesaving’s Drishti Marine will be operating private ferries across few points in Goa including one between Airport Terminal Ferry near the facility (airport) to Panaji. “The Airport Ferry Terminal is located at Baina beach, Vasco da Gama, and is approximately 5 km from the Goa airport in Dabolim. “A free shuttle service will be available between the ferry terminal and the airport for the convenience of passengers,” G Ravi Shankar, Chief Executive Officer of Drishti Marine said today. He said that tourists and local residents can now hop onto a 40 seater luxury catamaran and cruise along the sea to their next destination. Shankar added that the ferry services except that on airport route will be operational in Goa in November 2017. “Drishti Ferry has acquired two luxurious 40-seater, high-speed catamarans which will ferry commuters between designated pick-up points,” he said. “Designed to provide a smooth and steady ride, the passenger ferries, named Drishti Two and Drishti Three will enable passengers to hitch a ride between Panaji, Baga, Old Goa, Fort Aguada in Sinquerim and Dabolim in comfort, amidst the breath-taking view of the coast. “The two passenger ferries will travel within the state daily,” Shankar said. “The luxurious ferries have plush seating, spacious interiors, clean bathrooms, charging points and safety belts. Air conditioned passenger lounge and waiting areas, on-board baggage assistance with free wifi, packaged snacks and beverages will be available on-board. “The crew on-board include trained lifeguards who are trained to carry out rescue operations,” he added.